What is the typical age range of your members? 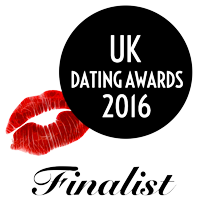 Our matchmaking service and dating agency attracts people who are aged late 20s upwards. We don’t set a specific age limit as we feel that would be discriminatory. That said the majority of members we attract are in their late 20s, 30s, 40s 50s and 60s. If you are uncertain you can ask us and we will always be honest and tell you if we can assist you. We also work with partner agencies we trust and if we cannot assist then we may know someone who can. What is the ratio of male to female members? This is ever changing as we are constantly matching members who may continue dating and enter relationships. We use marketing, media, advertising and proactive headhunting in order to build a steady stream of eligible single members who maintain a 50/50 balance. Marketing the service also includes singles events and other corporate networking opportunities. We are proud to say that we receive a lot of referrals. Many are from previous members who are now in happy relationships we facilitated. That speaks volumes about our service. What sort of people are attracted to your service? Interesting, attractive, intelligent people who are financially independent and looking to meet a long term partner they can share a life with. They may have tried internet dating and are frustrated with it. Or they may never have tried it because they want something more discreet and confidential. That is exactly what we provide. Our members are serious and proactive about finding love – that’s what they all have in common. You can check out some of our recent members’ profiles, which are redacted for privacy at Matchmaking Profiles. How many matches am I likely to get? We guarantee you a minimum amount of matches in your membership period and usually deliver about two matches for you to meet in a month. Experience has shown us that it’s hard to get to meet more than two members a month as this is driven by peoples’ schedules and your time permitting. Single people are busy people. We don’t allow double dating so you date one person at a time, none of this juggling several people like internet dating. We select your matches after consulting with you, when you tell us what values and qualities you would like in a partner. Once you’re happy to meet who we select you meet for a date. The rest is down to you as chemistry is not something we can control. It’s indefinable. If you had a good first date then we recommend you meet for a second date as sometimes chemistry is a slow burn, you won’t always get fireworks on a first date, trust us. Can you guarantee I will find the love of my life? In short, no. In fact no dating or matchmaking service can offer you that guarantee. What we do guarantee is that we will match you with suitable single members who we have met and love working with. It is up to you to decide whether you go on a date with them. We don’t force people to go on dates as people aren’t widgets. What we will say though is that you need to trust us as this is what we do every day and we are good at it. Our client testimonials, business and industry awards speak of our successes. We also want you to get the most out of your membership, after all it’s a big investment. It’s well researched and documented that there is no sense of compatibility between people unless they actually meet face to face. Reading a profile is not the right time or place to make that judgement. We only suggest you have a short first date over coffee or a glass of wine. So you have nothing to lose by meeting who we recommend and potentially a life partner to gain. What is more, we have shown consistently that most of our members don’t get past their fourth match with us as they find that special person to start a relationship with. To that end we are proud to say that we have a high number of members in long term relationships, married and sharing their lives together. They listened to us, trusted us and met everyone we suggested. That gives us great pleasure knowing that we created those relationships. Guarantees two matches, consultations with your matchmaker and profile creation, either with or without professional profile photography (depending on which option you pick). This package can also be topped up with extra matches if you wish. Our most popular, pro-active membership of up to 10 months with regular guaranteed matches with optional professional photography. The time we work with you and the number of matches required are agreed with you upfront. You need to consider that some online dating providers charge £50 a month and for that you receive nothing apart from a window shopping session browsing thousands of profiles that might even be fake. If you are using free online dating sites, well dare we say it but you get what you pay for! Whereas we deal with real people who are intelligent, attractive, interesting and above all, committed to finding love, so yes, you get what you pay for. This membership is for someone who has exceptional, individual needs. It includes guaranteed matches to meet, a photo shoot in your home, coaching session, a stylist, hair styling and make-up if required. Professional photo-shoot is included. All major credit cards accepted or bank transfers. Please visit the Options & Fees page for full details. All major credit cards accepted or bank transfers. Do you belong to a professional body? 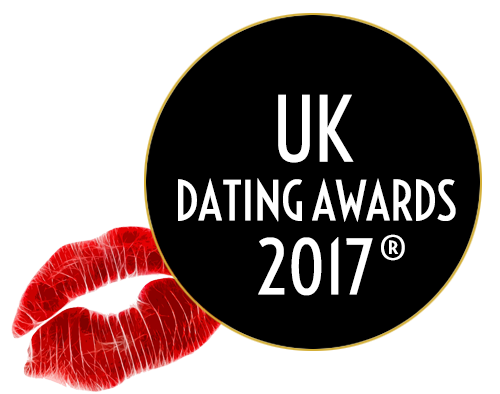 The matchmaking industry is unregulated and so there are a number of bodies and professional networks that we choose to subscribe and adhere to. 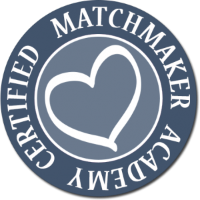 For a start we took the decision to become trained and certified through the Matchmaker Academy which is run by the multi award-winning dating expert and holder of the title Best Matchmaker in the World, Caroline Brealey. Through the Matchmaker Academy we subscribe to a Code of Ethics. If you still have questions please contact us and we are always happy to have a chat. Our contact telephone number is 07576 046332 or complete our Contact Form.